LANSING, Mich. (AP) — The Republican-led Michigan House voted Wednesday to reject Gov. Gretchen Whitmer’s environmental order that would reshape the state environmental agency, saying the Democrat overstepped in seeking to eliminate new business-backed panels that were given a regulatory role under 2018 laws. 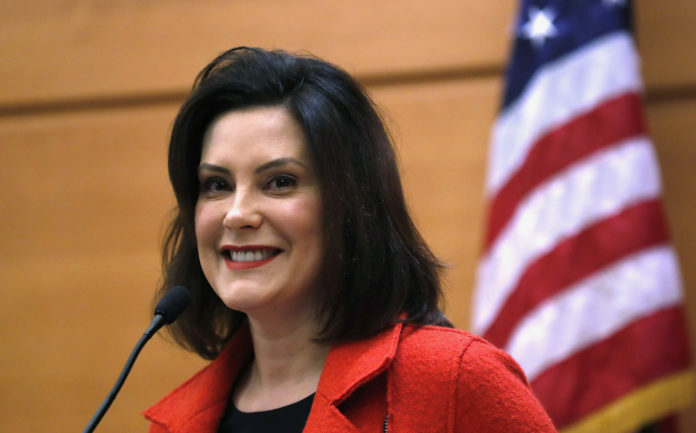 Whitmer, in turn, sought a legal opinion from Democratic Attorney General Dana Nessel, asking if the laws creating the commissions violate federal law, including by “impermissibly slowing down” the process of writing environmental rules and issuing permits. House Republicans denied Democrats’ allegations of partisanship. The passage of the resolution , he said, is the first step in negotiating with the governor. As part of a broader order to restructure and rename the Department of Environmental Quality after Flint’s water crisis, Whitmer abolished the Environmental Rules Review Committee, the Environmental Permit Review Commission and the Environmental Science Board, saying Monday that they “created too much bureaucracy” and she favored having “people who truly are accountable to the public making the decisions.” The panels of gubernatorial appointees were established last year by GOP lawmakers who said they would level the playing field between government bureaucrats and the industries they regulate. One board, where six of the 12 voting members represent industries such as manufacturing and agriculture, is empowered to approve, reject or change proposed regulations — though the governor can direct that the rules process proceed if issues are not resolved. Another commission — comprised of 15 engineers or scientists — can adopt, modify or reverse an administrative law judge’s decision on environmental permits in cases where a department ruling has been challenged. Whitmer was supported Wednesday by an unlikely ally, former DEQ Director Heidi Grether. She served in the Snyder administration and wrote a letter criticizing the panels and urging legislators to let Whitmer organize the department in the manner she believes is best. Democratic Rep. Alex Garza of Taylor called the House vote against Whitmer’s order “not only an attack on our environment” but also “an attack on the safety and health of our residents.” But the Michigan Chamber of Commerce applauded the action, saying Whitmer cannot simply eliminate laws she does not like. “We have three branches of government and the legitimacy of each must be respected,” Rich Studley, the chamber’s CEO and president, said in a statement. Whitmer is a true big government, heavy regulating, tax and spend democrat. I’m waiting to see how long it takes her raise the sales tax. I am betting that if she had her way it’d be at 8% – 10%. I, for one, am very Leary of the big government ideas that she is most likely to be pushing for!